to be paid for, no easy answer with a number. to ignore what I see beyond the hard evidence. innocence, I am biased and about half-deaf. This entry was posted in Poems 2016 and tagged jury duty, poetry. Bookmark the permalink. Good morning John; Our system depends on citizens like you and me doing their duty to the best of their abilities. We are proud of you being considered/selected for this duty. March onward, keep your feet moving and the thinking side, not the reactive side, of your brain working. We know the best efforts will be expended. Or already have been. Excellent — and oh so true. Sitting through the “word games” and manipulation is enough to make one “nuts” .. . Currently there are three attorneys in my family-judge, prosecutor, appellate. 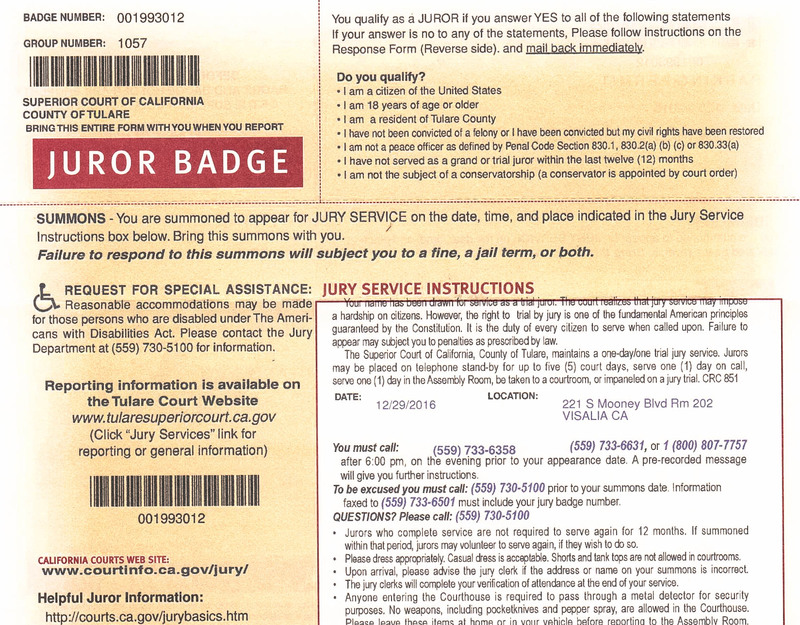 They tell me I would never be picked to serve on a jury (in California) because of my views. So far it has been true. You mean they no longer just hang horse`thieves out there in the wild`west? Remember: that guy could have been you or me! Hey, John. You can plead deafness and be removed from the list forever!